This is Victor Shisoka is born in 2008. He joined the orphanage in 2012 only 4 years old, not knowing who is parents are. 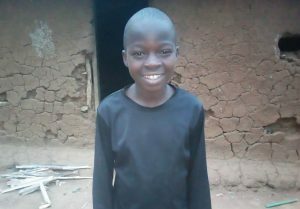 When Godwin found him near the church in 2012, he filed a missing children’s report with the police and no one came to get the child and Victor has been a part of our family since, at the Jabez Orphanage.